Mosquitoes can ruin a fun outdoor get-together real fast. No one can have a good time when they’re being swarmed by starving little vampires. But you can’t let a bunch of tiny insects tell you what you can and can’t do. 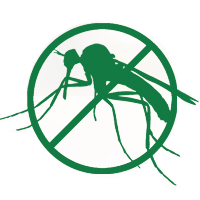 The presence of mosquitoes should never determine how you schedule your outdoor activities. The buggers either play by your rules or face the consequences. The most common solution for dissuading mosquitoes from “befriending” you is to use mosquito repellent. That sounds easy enough, right? It isn’t. There’s a vast array of mosquito repellents on the market, and only by choosing the right one can you get the results you need. Here are some questions to ask yourself if you want to find the most suitable mosquito repellent for you and your family. Duration of effect is something to really consider when shopping for mosquito sprays. If you like spending half an hour every few days walking around the block, then you probably won’t need something very long-lasting. If you prefer laying out in a hammock at night and reading a book by the fire for several hours at a time, then a more potent spray would certainly be the better bet. Active ingredients are important when it comes to effectiveness and duration. There are many chemicals and natural substances that are used for keeping nasty bugs away–DEET, pyrethrin, picaridin, and even eucalyptus oil. Statistics suggest that DEET is the most effective for skin applications, and higher ratings correspond to longer duration of effect. Depending on what your favorite activities are, you may choose to go with a higher DEET concentration or a lower one. Do pay attention to the warning labels on the repellents as not all are suitable for young children, the elderly, or people with certain medical conditions. Do You Spend More Time Alone or With Guests? If you’re the type to hang out on the deck or in your garden solo, mosquito repellents that you apply to the skin would do just fine. You only have yourself to shield against bites. On the other hand, if you enjoy throwing large outdoor parties, area-focused repellents would fit the bill. These are usually set up in one or more strategic spots in the affected area of the yard and can produce a repelling scent, smoke, or spray. Some systems must be manually operated at the time of need, but others can be programmed to turn on at regular intervals. The MosquitoNix Portable Misting System is a great option that could provide you with the peace of mind you desire. If you want a programmable system that has great range and sprays when you want it to, this is one to seriously consider. Saying “Don’t bug me!” won’t work on mosquitoes. You need a good repellent to make sure you don’t fall victim to debilitating diseases. Spend some time researching to find the best product for your household. Be sure to check out our service area to see if we can make it to your location. We proudly serve multiple South Florida cities, including Pembroke Pines, Palm Beach Gardens, Jupiter, Florida Keys & more!